Operators, supervisors, and managers who will be using control charts in their non-manufacturing jobs. SPC or statistical process control is a statistically-based family of tools used to monitor, control, and improve processes. Statistical Process Control (SPC) training can be time consuming and frustrating because of the complex nature of the statistics underlying SPC control charts. Basic SPC for Business Processes is a comprehensive online training course for service/office professionals and technicians that makes understanding and applying statistical process control concepts easy. With Basic SPC online SPC training, you can eliminate or substantially reduce the need for classroom training. In addition to providing a solid understanding of variation and the statistics upon which control charts are based, this course covers use of the most common variable and attributes control charts including x-bar & R-charts, moving average charts, p-charts, u-charts, np charts, and c charts. Extensive training includes collecting sample subgroups, plotting points on control charts, and interpreting SPC charts. 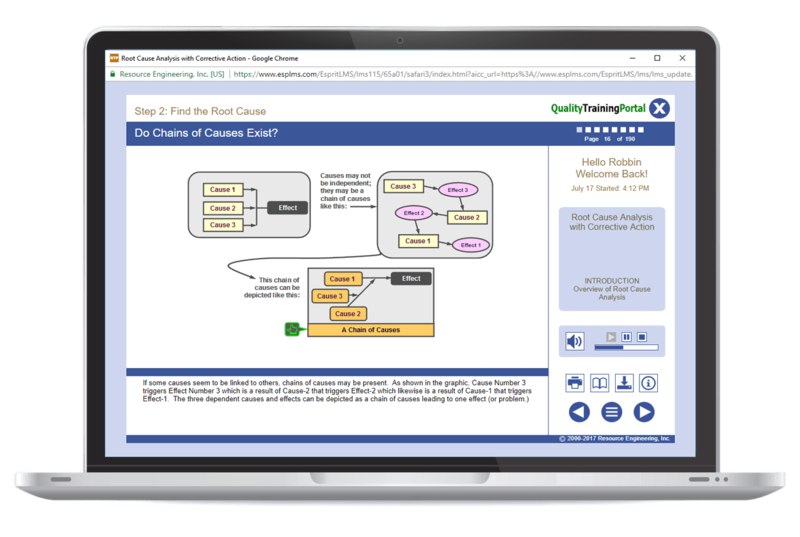 This online basic SPC training course also features a conceptual overview of process capability including Cp, Cr, and Cpk to provide learners is a well-rounded and thorough understanding of how to use statistical process control in their jobs. This training is ideal for Six Sigma green belt training. Examples and terminology are specifically related to the office and transactional functions. Looking for SPC Training for manufacturing? Better understand variation in processes including patterns and measures of variation. Monitor and control variation with variable and attribute control charts. Describe basic process capability concepts and the importance of capability when using control charts. What control charts are and why they are used. Common elements of all control charts. Out-of-control patterns and what to do when they occur. Variable and attribute control charts: Which do you use when? Calculating and plotting data on variable control charts and interpreting the chart. Calculating and plotting data on attribute control charts and interpreting the chart. What process capability means and why it’s important. The capability ratio, process capability index, and Cpk. Understand the purpose of a control chart. Identify key parts of a control chart. Know how to collect and plot data on a control chart. Be able to interpret and take action using a control chart. Describe what is meant by a capable process. Identify and explain the three main measures of process capability. What process capability means and why it's important. Contrast the difference between an "in-spec" process and a "capable process."